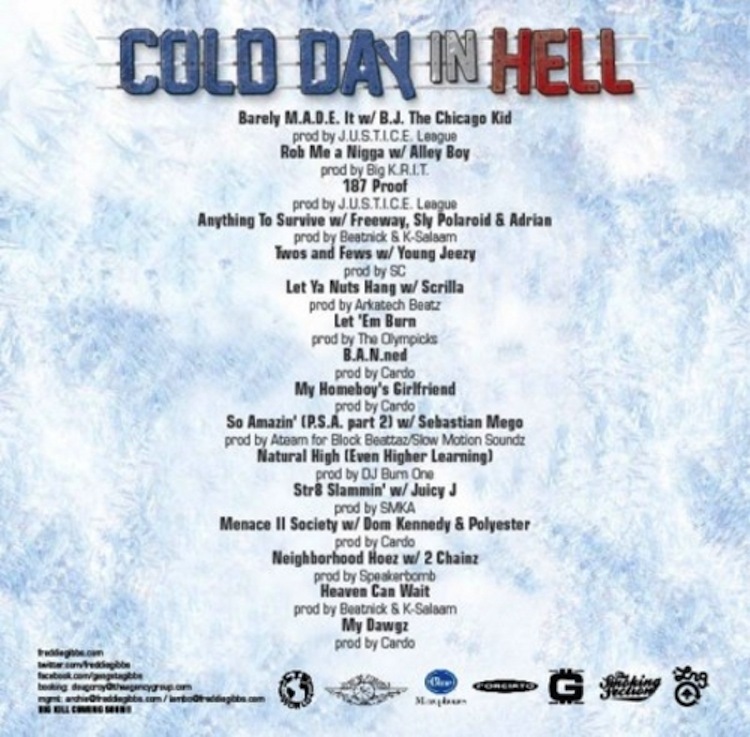 Freddie Gibbs dropped his new mixtape Cold Day In Hell on Halloween. The Gary, Indiana native spits hard on his newest offering, the follow up to 2010’s Str8 Killa No Filla. Gibbs was signed to Interscope in the mid 2000’s and was subsequently dropped because of label politics. He rebounded in ’09 with midwestgangstaboxframecadillacmuzik and appeared on the XXL Freshmen cover. Gibbs signed with Young Jeezy‘s CTE earlier this year and released an EP with Statik Selektah titled Lord Giveth, Lord Taketh Away in June. Never one to hold his tongue, Freddie always keeps it real and provides that real gangster music. post. Thank you so much and I’m having a look ahead to touch you. I do not even understand how I stopped up right here, however I thought this put up was good. know I am getting know-how all the time by reading such fastidious posts.